1. Defend your Clan, even at the cost of your life. You may have friendships with cats from other Clans, but your loyalty must remain to your Clan. 3. Elders, queens and kits must be fed before apprentices and warriors. Unless they have permission, apprentices may not eat until they have hunted to feed the elders. If any warrior or apprentice is sick, they may eat while the elders,queens, and kits are eating. No mate or kits yet. I am blue gray with sky blue eyes. I am a kit in IceClan. Hi! I'm DewSong! I am black with some white dots above my right eye, and I have white mittens. I am a warrior in Fernclan. No mate or kits yet. Also, I have bright green eyes. Its Dewsong not DewSong. In the Warriors series its clearly (example) Fireheart not FireHeart and Graystripe not GrayStripe. Like my name is Kestrelpelt not KestrelPelt. my name is Bug. I am a rogue. I come and go, i go where i want. I am a light brown and dark brown cat with one blue eye and one green eye. I like be outside, even if it cold. Thanks Bee but... your on already in Cats outside the Clans!!!! Thanks! Do u have a pic? I'm a white she-cat with sea blue eyes . Hi I'm frostbreeze I'm a pretty white she cat. My mother is moonflower my father is firepelt. Moonlight is a brown and black mottled she-cat. (Don't have picture) She is in Starclan. The mother of Lionpaw and Leafpaw. Bramblefur, do you have a picture? I am Hazeleye, a long-haired ginger calico she-cat with Hazel eyes. I am the medicine cat of Moonclan. I am really hyper yet intelligent. I'm also a huge klutz. I'm a medicine cat too! I also have no mate or kits. i have a pic of shadowfur if u want it? ps my apprentice is willowpaw! description: pretty silver-grey she-cat with aqua blue eyes. She is brilliant at hunting fresh-kill and loves to take care of the Riverclan kits. She is also very friendly, and is immediately loved by everyone she meets. However, she can be fierce when it comes to battles and very serious when there are hard times for her clan. She is also loyal, courageous, and patient. i'm a white she-cat with blueeyes. I'm very sweet but not afraid to speak my mind. My father is a kittypet and my mother died form Greencough. But i Stay strong. I'm in DarkClan. i have no mate or kits, and sort of but not really intrested. I am very good friends with Wiilowheart. Description: Echowing is a brown-white she-cat with a brown and black striped tail and blue eyes. She's shy and soft-spoken, but is very intelligent though many don't notice her. brown spiky fur. green eyes. Great! Can Rosewhisker be your foster mother? And Wingkit can yours be Hazelpelt? Sorry Stormcloud, but there is a medicine cat and a leader. do you want me to add you as a warrior or do you want to take the role of the medicine cat of MoonClan: Smallspots? SERIOUSLY??????!!!!! I COUL HAVE JOINED HERE ALL ALONG?!?!?!?!?!!!! Sorry Jayfeather. You where not on for a while so i put that. whoa! can i join? same info on oak forest and same pic. except when i was a kit my original name was beaverkit, and then i attacked mushroomkit and started clawing him and then a fox came along and finished the job. and i' not deputy. Kin:hopecloud is my sister. my mother is dead, so anyone can foster me. really energetic and lovable. loud and proud! :) always smiling, or cracking a joke. Yes but I have to tell you that some cats are planing to kill him. So.. Just a heads up. sorry, but could u change me and laughingkit to moonclan? please? Funny kind and very beautiful she is a good battle fighter but also hates hurting cats who are her own clan. Light yellow she-cat with gold stripes and light green eyes. Funny,kind and very respectful of her friends. White She-cat with grey tips on her ears and tail.Her blue eyes are welcomeing and kind. Cream kitten with a bit of brown on her tail and ears.Her green eyes are deep and dark scareing cats. She is kind and mean but mostly mean at other cats not her family. Looks-Brown with black stripes going everywhere.Brown mystic eyes and a liking for Candy. Personality-Kind on his good side this cat may look weak but he can fight a small dog in a small time! Fought hard for clan. Got a limp that never got better. Retired early. Aquagaze, what Clan are you in? Description:Willowheart is a silver tabby she-cat with darker stripes. She has blue eyes. Willowheart is sweet, kind and loyal, and sometimes fierce. She is a great fighter and is pretty good at hunting. There is already a Willowheart in DarkClan. Feel free to play as her. Description Black with yellow markings(looks like an umbreon). She is very nice and can attract toms in seconds. She is a very goodhunter and fighter. She was found on moonclan territory when she was a kit and can control the night. Thank u for joining! PS I LOVE UMBREON!!!! Hooray for Pokemon! Umbreon looks really cool. sorry if im becoming a pest and is that you Cherryfeather? Okay... gosh.. lot of cats to add.. I LOVE EEVEE AND POKEMON!!!!! SOMEONE ON THE PLANT IS LIKE ME!!!!! Sorry. I am just really happy!!!!!!! AAAAAHHHHHH! I CANNOT GET POKEMON OUT OF MY MIND! AAAAHHHHH! I an not adding Vaportail cuz it is a little weird. Sorry. Mango is a cute orange tabby she-cat with amber eyes. She was born a rogue but was beaten and broken everyday by everyone. Even her parents! She ran away after her dad broke her front paw and became a loner. She has quite a temper and can be pretty snappy. But other than that she is friendly and kind. She is only 5 moons though knows a lot of stuff she isn't supposed to learn until she's a adult. She knows all about the clans and likes to visit them. Though she likes the life of a loner. She is a fast little thing and is hard to find or catch. She is also a great tree climber and she likes to call herself a "ninja". She speaks her mind and doesn't care if anybody disagrees with her. Even though she does get into trouble a lot. Can you please find a picture for me that looks like how I described in my description? Hello, um, I was hoping to join. I wanted to play Thunderfur from IceClan and then make my own cat, but I'm not sure how. If anyone would answer this, I would appreciate it. 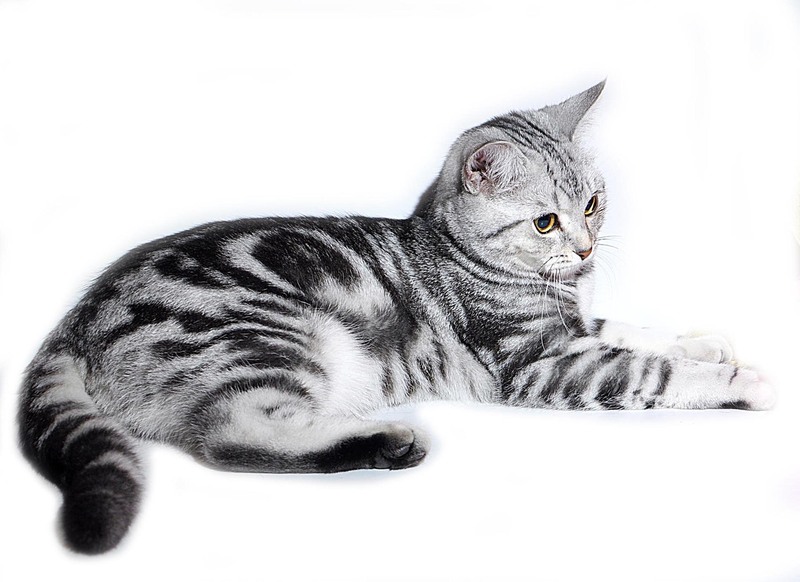 blue/gray she-cat with dark blue eyes and black stripes on her legs, bushy tail and body. Also, may I have Waterpelt? Of course you can have them both! Thank you so much! Is Streamfall approved? May i play Misty too? Thank you so much! Oh, and Streamfall has no mate or kits and all her family is dead, but she wants a mate. Um . . . this is going to sound stupid, but how do I role-play? Where do I do for it? So I don't play any cat I wasn't approved for, let me make sure I have this right. Misty and Streamfall are all mine right? Darkkit is a moody black tom with light green eyes. He lives in DarkClan. He is never quite satisfied with anything and doesn't talk much. He likes to watch and start fights and is determined to always win. He has very sharp claws and his teeth are as sharp as knifes. He has a cold stare and the only emotions on his face are hatred, angryness, and boredness. His mom was a rogue and his dad was a DarkClan cat. When he was born a unknown loner killed his parents. That's why he hates loners with all his dark heart. He tells lies and can't be trusted with anything. No one knows how such a little 7 moon old kit could be so cold hearted. If Darkkit is 7 moons wouldn't he be Darkpaw? Alright! Thank you! I won't be on here for a week though, but when I get back, I'll start role-playing! Again, um, this is going to sound stupid, but where do I go to role-play and how does it work? YES! another evil cat! they make everything intresting!THANK U DARKKIT 4 AN EVIL CAT! Sunset- orange Tom with black tail, legs, ears and back. Very connected to starclan(like firestar). Silverkit is a snappy silver she-cat with amber eyes. She is much like Darkkit in many ways and goes "Meh" whenever somebody askes her if she likes being in DarkClan. She never forgets to drop an insult and is normaly grouchy. She is cold-hearted and is very rude. Her teeth and claws are sharp enough and she isn't the happiest cat ever. She almost always looks bored though her eyes are filled with hatred. Her parents were killed when she was 2 days old and she doesn't remember anything at all about them. She may look inoccent on the outside though she is much more on the inside. But she sure is strong for a 5 moon old kit. Yay! another evil cat! Muhahahahahah! Sapphire is a sweet red she-cat with sapphire blue eyes. She was born into DarkClan though ran away when she was a apprentice. They didn't treat her right and her name in DarkClan was Fangpaw. She ran away then and met some rouge's and they let her join. She was renamed Gleam then. But later she was taken by twolegs and had to live as a kittypet. That's how she got her name Sapphire and her history. Though even the twolegs didn't treat her right so she ran away to be a loner. She is happy with her life right now even though she is seperated from her parents. She doesn't like to talk about her past and she is pretty useful. She knows all about herbs and poisons and knows how to treat anything. She likes to hang out with Mango and doesn't care if anyone doesn't like her. Atleast it's easy to ignore them. Patchfur is a queen in DarkClan. She is a pretty black and brown she-cat with light green eyes. She is expecting kits and is very protective of them even though they aren't born yet. She likes to talk and can relate to anyone. She is very close to StarClan and wishes her mate was still alive. His name was Stormclaw. She can be strict though she is very friendly and soft hearted. Stormclaw was a warrior in DarkClan. He walks with StarClan know and is angry with the cats of darkness. He is a handsome blue grey tom with red eyes. He was killed by Greentooth and wishes he could get back at him. His mate's name was Patchfur and he wishes he could be with her once more. He is very loyal and trusting and coulden't hurt a living soul unless it was for self-defence. He is very intelligant though acts like a kit sometimes. Sunkit is a kit of DarkClan. She is great at fighting and knows a lot of hunting poses. She is a relative of Mango and was given up by her parents. She is a pretty orange tabby she-cat with amber eyes. It's also amazing how she looks so much like her sister Mango. She is stronger and smarter than most warriors and would never back down from a fight. Though she is very sweet and friendly but can be grouchy. my name is shadowkit, im jet black and very fluffy with amber eyes, my parents abandoned me, and i waz raised by the loners but i later joined darkclan. nvm just make my name bloodkit. Wait . . . alright, forget about Creamfur. I would like to play Sunkit and, if you don't mind, her warrior name being Sunmist. Alright, well, Sunkit is from DarkClan, which sounds really cool so I would love to have her. Also, has anyone on here heard of fanfiction.net? I have an account on there where I write stories and poems. If you would, please go check it out. My user name is . . . Sunmist! Well, thank you. Also, do we role-play on the ShoutMix boxes or what? I'm really confused right now. Oh, I know, I'm asking a lot, sorry about that, but am I allowed to play Blueeye? She sounds so cool! That would make my total cats 6.
and Sunkit and Blueeye if approved. Sorry but you cant play Sunkit. Yes u can play as Blueeye. I have been on Fanfiction.net! I read Pokemon fanfics. (yaya i am a geek) I will check you out later! I am a Pokemon fanatic!!!!!!! I read Warriors! Um . . . Harry Potter and a few others every now and then, bu mostly Warriors. i have an original Vampire story called holding On. I read and am huge fans of Harry Potter and Warriors! I would like to make a DarkClan cat. Appearance: pure black she-cat with a fluffy, bushy tail with ginger paws, and ice blue eyes. Personality: She is very outgoing and lovable. She is sweet, caring, but young, so she makes mistakes. She is loud and stands up for what she believes in, even if she's wrong sometimes. She has a crush on Sunset and is kind of attracted to Lionshadow. History: She was a loner as a kit. Her mother was Gypsy and her father was Stain. She had no siblings and her parents died in a fire. Kin: died in a fire, so none. Awww... Thanks Sunmist!!!! I would love if u cpild swnd us some herbs. And the site has been running since November 11th 2010. But it onlu got really active this summer. Silverpaw is a sweet silver she-cat with amber eyes. When she was a kit she was rude and mean though when she became a apprentice her spirit was filled with joy. She is a very good hunter and has a way with words. When she was 2 moons old her parents were killed though she knows there in a better place now. She likes to play with kits and chat with others and is always up for anything. She is soft hearted and kind and likes to give out compliments. She has a very gentle voice and her eyes are always bright with kindness. Her mentor is Honeyleaf. I'll get them to you soon. Also, is Ravenwing approved? Would you like me to send word out to my fellow fanfictioners? Um . . .what does it mean when a cat is frozen or unplayed? i am so sorry I'm asking so many questions! Now, for another one. Can you play Luna and Link or are they already played or just characters in your stories or what? Life- Has never been allowed to see his daughter Dawn since she was a kit and recently met her. Dawn mother did not allow Oakclaw to visit her AT ALL. Does anyone on here have a fanfiction.net account? im asking something....do u have to have an picture?? I've sent in links for my cats and they haven't been used, so I don't think so Goldenpaw, but you may want to send a link just in case. Sunmist: Can u re-post the picture for Ravenwing? I could not open it. Goldenpaw: I will use the picture u give us if it is a real cat. I forgot where I found it. Spottedsight, would this picture work? WHATTTTTTTT!FOSTER MOTHER!?!?!?! ?anyway is this a good pic? Spottedsight, i need your personality. Calm, Smart and likes to freak ppl out by making them think that he can see. Icefall is a dark brown tabby she-cat with a white chest and ice blue eyes. Her best friends are Shadowfrost and Echofrost. She has a crush on Lionclaw and doesn't like to admit it. She is sweet and caring but has a long violent past. Her parents died long ago and her sister became a rogue. She is very protective of her friends and likes to listen to the elders stories even though she's a warrior. She visits the nursery a lot and likes to chat and help with the kits. She is very popular through out all the clans and has very few enemies. She is stronger and wiser than a few warriors and is pretty small for her age. But she still can easily hurt anyone with her claws. She is very close to StarClan and is a kit at heart. Feathercloud is a silver she-cat with light blue eyes. She is very gentle and lives in MoonClan. She is a young warrior but is still one of the best battlers and hunters in the clan. She is always relying on StarClan as her mother died. Her best friend is Hopecloud. She has a way with words and can tell good stories. She is normaly cheerful but can be serious and bossy sometimes. She has brilliant eye sight and nose. She has a talent where she never forgets anything and it's permanantly locked in her brain. She is sweet and kind but has a sharp tongue. I will add you right away. And Icefall, u need to change ur name cuz there is already a Icefall in MoonClan. Then instead of Icefall I'll be Smokefoot. Alright, i wil add you ASAP. Feel free to RP till u are are up on the Clan list. Yellowclaw is a pretty decent tom. He is a orange tabby with a white chest and yellow eyes. He doesn't like to talk about his past though is hyper. He is a young warrior but has unusual long claws. He is never a cat anyone wants to be in battle with- they usually end up with nasty injurys. He isn't afraid of a challenge and would never back down from a fight. His kin is all dead. What Clan are you in Yellowclaw? I'm going to change my description. Darkfang is a rude black tom with light green eyes. He is best friends with Bloodfang but doesn't like to admit it. He has lightened up after many moons but never forgets to drop an insult. He is a decendant of the four cats of darkness and his mentor is Purpleclaw. He has the power to make dissasters happen. Of course nobody knows this only Purpleclaw does, but she hasn't told him yet. He is good at keeping secrets and is very sneaky. His real parents were killed by a loner long ago and he managed to hunt down and kill that particual loner. Though of course, nobody knows this. And please change my picture. Sure! I will have to do it later thought. Marin is a cream-and-silver she-cat with light brown eyes. She is hyper and can enchant anyone with her smile but is naturally shy. Her best friends are Espona and Lilaceyes, and much like Espna she likes to sing beautiful songs that make others smile. She knows a lot about herbs and poision. She is 8 moons old but acts more like a kit. Espona is a hazel and silver tabby,with brilliant green eyes. She is a charming cat,but is very shy and only likes to be around her friends. She is brave and would risk her life for others if she had to. She was once in a clan but was beat up and exiled when she was framed for a murder.she can see and hear very far away things. Before she was exiled from her clan the medicine cat said she was one of the crystal twins,but she does not know the other twin.Her best friend is Martin and Wednesday. Stormclaw is a Black, Grey, White and pale yellow cat. He is loyal brave smart and strong. He was the runt of his litter but had major growth spurts throughout his life. He has a star shaped birth mark of black fur on his forehead. Ridgepaw- Dark brown tabby tom with a long scar over his eye. He has amber eyes and a cream colored chest. He is kind and a great learner and has always wanted to become a warrior. Lionpaw- Long furred golden tom with amber eyes. He is loyal but battle ready and hard headed. His life long dream is to become leader, and be the best one DarkClan has ever seen. Featherpaw- Long furred gray she-cat with blue eyes. Sister of Lionpaw but switched Clans. She is smart and steady and knows when to act. Fangpaw- Featherpaw's best friend, and a loyal cat. She is fluffy and black with a white chest and paws. She has golden eyes and is great at fighting but not hunting. Tigerpaw- Brown tabby tom with amber eyes. He wants to have a mate and is very nice. He is loyal and a great hunter, but struggles with his battle moves. Fernpaw- Dusky brown she-cat with fern-green eyes. Her parents died but she is extremely fast and probably the fastest cat in the Clan. She is smart and steady, but quick to judge. Twigstep:Dark brown tom cat who has an eye out for being Leafmoon's mate. Strong and loyal to a dark place that Leafmoon will discover. StarClan cat who was in DarkClan. Has green eyes and a redish pelt. She has taken a liking to Starpaw and hopes to help guide him through his destiny. I will change my name to Echopaw instead of Tawnypaw. Was lost and thought dead until Brokenwind found his clan again. Shares a secert with Elderstorm, they had a kit, name unknown by many. Black and white tom. Very cranky, less then Elderstorm though. Has kin in MoonClan. Twigstep, what Clan are you? Oh, my clan is IceClan! And Echopaw, i could not open the photo, could you re-send it? I am cloudwing. I'm a she-cat with green eyes and haveblack fur with a white belly. I'm in moonclan. I'm usually very quite and shy. Oh and I'm a good hunter but I'm not very good at fighting. I'm very nice but I can be a bit cold sometimes. Sorry I keep forgetting 2 add stuff! Stange, I could open it...Copy then put in the *http://* bar, and press enter. Have you tried that? Brightpaw is a leopard furred she-cat with dark brown eyes who lives in DarkClan. She is loyal and caring, but is snappy too. Her mom was a good cat who always listened to StarClan, but her dad was a bad cat who always listened to the Silent Forest. She doesn't know if she is good or evil, though she does know she wants to be the strongest leader that DarkClan has ever seen. She is nine moons old. Can you please pick a picture for me? and can you get me a picture? Could you please tell me a bit about your cat and there personality? I would like to join warriors. I have green eyes and spotted pale gold fur.I am a loyal warrior and hope to be deputy.If I am chosen I will do the best I can.My name is Spottedhead. I am a Female warrior. Snowfall can you find me a picture. Black with splash of white on chest, kit of Rosewhiskers. Nightkit is full of adventure and loves the elder tales. Wants her warrior name to be Nightmist. Snowfall? Can you move me to the Nursery? And put that I am Twigstep's mate? And put on mine that she is my mate. Yes, I will change it ASAP, which will most likely 2morrow. MoonClan kit that is a calico she-cat. Her mother is Leafmoon and her father is Twigstep. She is serious and helpful to all cats. Likes elder's tales. Stormkit is a gray long-furred tom. He has eyes that seem to look right inside of you. He is very strong and likes to make trouble. His mother is Leafmoon and father is Twigstep. Spritkit is a kit in touch with StarClan. She is very kind and tries to stay out of trouble. She wants to become a medicine cat like her mother, Leafmoon, dreamed of being. Moonlight often comes to teach her, but Spritkit dosen't know about her being Leafmoon's mother. Father is Twigstep. if that ok with you?Ps i have leader etc. I am Leafwind. I am a she-cat and am a white warrior with a golden patch around my eye. I have only recently been turned into a warrior. I am a loyal cat and i am in Dawnclan. i will try to send you a picture later. I will reply to my own comment. I would like to join warriors. I have green eyes and spotted pale gold fur.I am a loyal warrior and hope to be deputy.If I am chosen I will do the best I can.My name is Spottedhead. I am a Female warrior.I am in Moonclan. Snowfall can you find me a picture. Canyou please do it asap! Hey new people!!! I will get you up ASAP, so feel free to rp in the meantime. Okay? Sorry it has taken forever to get back to you. Hi I would like to join. I am Tigerfang. I am an orange tabby with green eyes. I am a warrior of MoonClan. I have no mate or kits. I don't have a picture. I would like to join. I'm Nightwave, a she-cat warrior of MoonClan. I have a golden tabby pelt with blue eyes. I have no mate. I do not have a picture. I'm new here, I was looking for a new warrior cat roleplay site to participate in and I found this one! I was looking through the clans and I really like IceClan so I was wondering if I could possibly join?? Oh and you can call me Rain by the way! I am a dark tabby with amber eyes. I am loyal. I am a she-cat. You can call me Dusky. But I can be supa fun! I am a warrior, but I act like a kit sometimes. Wrong way to pharse it. Sorry about rubbing your fur the wrong way. I do wish that this site was active, but not more. My name is Icedance. I am completely jet-black. I am intelligent and love learning new things. I am a warrior of DawnClan. I dont have a mate or kits. My eyes are the color of ice. kinda. they're bright light blue. •Description: Lynxpaw is a tall, marble silver tabby she-cat. Her eyes are large ember pools, almost looking like they have golden stars in them, surrounded in pitch black fur. She tends to be the shy one, but once you get to know her, she says everything she thinks and speaks her mind a lot. Her personality is a little shady, and she tends to shut other cats out. When it comes to disagreements and fights, she is aggressive and shows no mercy. Hi. I'm Hazelwhisker. I have brown fur and specks of white on my tail. I have hazel colored eyes and half of my left ear has been bitten off. My paws have small spots of black on them and my fur has been made into an 'M' on my forehead. I used to be a loner, but the leader has accepted me into DawnClan. There are still some negative comments about me from other DawnClan cats, but I don't really care about it. I have no friends and I just recently joined DawnClan. I have no mate or kits. I am a curious and loyal warrior in DawnClan. Even though I'm not a medicine cat, and never have been before, I am very good at healing others. I used to be in a Clan called SkyClan, and my best friend was Fireleap. Fireleap used to be a loner with me, and we lived awfully close to each other. I always liked to play over at his farm before we each met with the leader of SkyClan, and she let us join SkyClan. But soon after that, I claimed that I have eaten a chunk of vole before even returning to camp, and then the leader kicked me out of SkyClan. I can be a little vicious and a rule-breaker at times, like in SkyClan, but I promised myself to follow the warrior code for DawnClan. I like to swim and fish, which I am very good at. I kind of get off track with some things, so I'm kind of bad at guiding others. I love to jump and climb, especially on trees. Not very good at listening either, but I'm amazing at running. Fighting isn't a priority for me, but I'm awesome at stalking up on animals. I'm making a new animal now if that's okay? :) I will post it as it's name and NOT Hazelwhisker. Description: Honeydrop was born in a clan that was fallen from a flood that flooded there territory creating massive damage, most cats died and some have lived. Honeydrop was one of them she set out on a journey to help and heal cats from any clan or pet she would always follow the warrior code no matter what dream nor destiny. Description: . Rainpaw is blind. She isnt very good with other cats and doesnt really understand emotions. Shes troubled when other cats show feelings, and generally doesnt like to be around other cats. Although, once Rain makes a friend its pretty much impossible to break her from them. She is not hostile or mean, just doesn't want to be around others because she doesn't understand. Rain is good at healing and has an uncanny sense of hearing. She has a small, almost unnoticeable silver mark above her left eye that is shaped like a fern. Her mother was from NightClan, but died in kit birth, and her father took his own life when Shinings brother, Mudkit, died of an unknown disease. Shiningpaw was brought to the clan before her father died by him. She chose to be a medicine cat apprentice because she wanted to know everything possible about healing so that if Mudkits disease ever came again, she could cure it. Sometimes Rainpaw can get lost in her thoughts, and you cant bring her back, you just have to wait. Shiningpaw has no living family. I am a dark brown, white, and black tom cat with blazing blue eyes. I am very athletic and social. I have a mate that is a kittypet who go's by the name Apple. I have two kits, a tom and a she-cat. The tom is named Storm and the she-cat is named Cloud. Is very emotional and has a deep interest in herbs and berries. Isn't the most energetic kit in the world. Is always trying to help the medicine cat. I would like to join MoonClan! Description: Loving, kind, happy, serious. Silky gray she-cat with hazel eyes. So this is my second character. Description: Energetic, loyal, brave, sometimes worried. Silky blue-black she-cat. So, I accidentally forgot: Aquapaw would like to join MoonClan as well. Firetrial is a slinking, beast. And i mean beast. He is a bad A*%. He is battle happy and is a warrior of iceclan, he wants to be leader but will rule with a iron claw and a firm paw. Vixenkit is a pitch black she-cat with deep orange eyes and a kind personality. She has unusually long claws for a kit and has dazzling flecks of white all around her pelt and tail. She can get pretty abusive when it comes to battling. She is a fierce and brave warrior, almost an apprentice. She was found in the middle of a frozen pond, pawing at the beautiful icicles that left her awestruck. Blazestar found her and took her into the Clan for shelter, as she denied because she loved the beautiful look of leaf-bare and the cold. She has no foster mother or queen to take care of her; none would accept her at the time since they all already had many kits, but they all cared for her in times of trouble. (SHE-KIT). Pearleyes is an Iceclan warrior she cat. She is gray with white rings around her tail and right front leg. Her eyes are piercing white and she has blue gray splotches. She has no mate but is hoping for one soon and has no kits. Sweet flower is a light ginger she cat with light green eyes.she is kind,gentle,wants to have her own kits,short temper,horrible at catching squirrels. Wait- I meant Dawnclan, Sorry! Hello,I'm an apprints cat of Thunder Clan, I'm yellow with black strips, I have a long tail and grew up with my promise dad, who promised that when I was young, he would help me find my famly. My actual family was separated during an attack by shaddowclan. I have no kits yet, but hope to have one soon! I have no mate yet. Oh, I forgot . Someday I wish to either be a QUEEN or a medical cat. I'm very playful ,caring,kind, and freindly. I'm currently just over 19 moons. I love kits. Schulz, I left Thunder Clan to join a forgotten clan.... can I join dawnclan?? Past:At one time she was a kittypet, until HivePaw found her being mistreated and rescued her from the two legs. Past: Was kicked out of bloodLine for caring about a kit. Was severely injured, but HivePaw helped him recover. Ahem. Its Jayfeather in the books, HELLO? Not JayFeather, it looks stupid. If you read Power of Three its clearly Jayfeather. I'm an abandoned kit. I heard of large groups round here and thought id come check it out. I'm four moons. I'm a great hunter. I fended my self from a 7 moon old cat too. I if u want my description go ask snowfall. no I'm not approved yet. its because snowfall didn't get read my email yet. hi I'm cloudkit. i'm a mix of a Bengal cat and a calico cat so I look basically like a calico cat that has Bengal markings on my back, tail, and legs. I'm a love to jump and climb and I love eating birds. I'm about 4 moons old and has no siblings. sorry I meant cloudkit. I was reading skykit's comment and accidently put skykit on name. my past: I was born in leaf bare so my mother died of greencough. my father ran away after that and joined scar. then left scar and became a loner. my mothers name was snowpelt and my fathers clan name was lepoardfur. he changed it to jaguar once he joined scar but when he left he changed that to leopard. oh and I'm in dawnclan. and I have no picture. Simple Visual Desciption: Green eyes, bright orange pelt with dark ginger spots that look like splashes: White paws and belly. I look like the girl version of Firestar with emerald green eyes. My children are Rosepaw, Owlpaw, Raveneyes and I'm now a Queen in DiamondClan, my mate is Skyheart. He is a Havana Brown cat breed with golden eyes. Description: Dark grey tabby with seething bright amber eyes. Stubbron, ruthless and quick to act. Very serious about doing things right. Looks: She-cat with Light brown pelt, Dark brown stripes, One green eye, One brown eye. Personality: Sweet, fun-loving, adventurous, Needs to impress, Overly sensitive. Kin: Goldenstream and her kits pinekit, darkkit and leafkit. past: Was bullied as a kit and apprentice, was abandoned by many of her once friends for her sensitive attitude. Dawnfire has a orange-brown Pelt and Blue eyes is a she-cat is in Dawnclan and is a warrior she has no mate or kit every cat thinks she is helpless but really she is strong and would protect her clan at any cost my mother was moonclan and my father was dawnclan. Squirreltuft is a fluffy brownish-ginger she-cat with amber eyes and a fluffy tail. She is very ambitious and quick thinking, this trait sometimes gets her into trouble with the older warriors. As an apprentice, she liked to play pranks on senior warriors and elders, this made her former mentor scold her often. Despite these tricky qualities, Squirreltuft proved to be a valuable and loyal warrior who would do anything for her clan. At 12 moons, she is a very young warrior from DawnClan. She has no mate, crush or kits but is open to find a cat to love. ~you may have six cats max. * Remember to click the Title (Join the forgotten Clans) to post! !